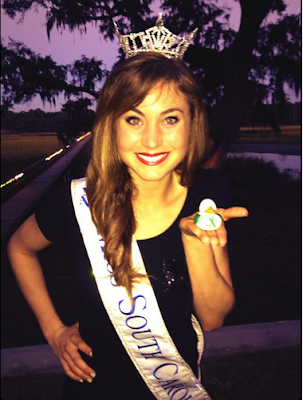 If you watched the 2014 Miss America Pageant, or you're from the state of South Carolina, than you probably heard about the flap that occurred over what Miss South Carolina Brooke Mosteller said for her introduction. The show started off with each of the contestants making some sort of witty remark about where they were from. 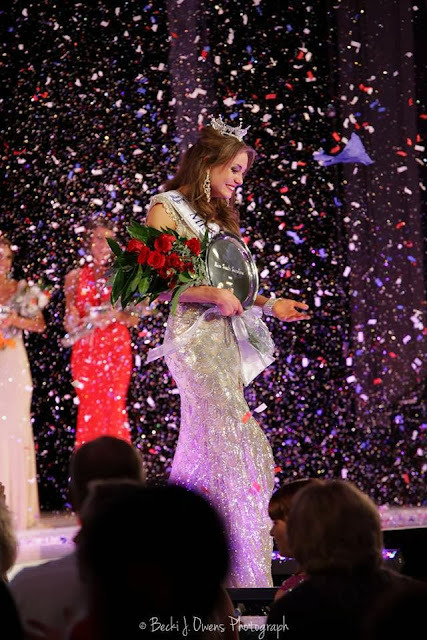 When the camera got to Brooke, she confidently smiled and said "From the state where 20% of our homes are mobile 'cause that's we roll, I'm Brooke Mosteller, Miss South Carolina." This would normally be the time when I would take to Twitter and join the masses in their scorn and disapproval. I've already shown that I have no problem taking shots at beauty pageant contestants for things that they say and do on stage when the spotlight hits them. But for some reason, my snark cannons just couldn't start firing. This might have been due to the fact that what she said wasn't that bad (and was actually kind of funny). Perhaps it was because the stupidity and ignorance some people showed after Miss New York won overshadowed the introduction all together. Or maybe it was because despite those 7 seconds, I'm still incredibly proud to have Brooke representing my state. 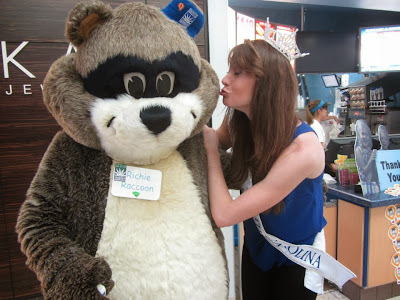 I normally don't follow beauty pageant contestants much (no seriously, I don't), but through a series of chance events and her great work in the low country, Brooke has been someone who I was rooting for from the start. ...or because this picture is all types of awesome. Back in 2006, a student of mine asked me to attend the Miss Wando High School pageant in which she was participating and performing. My wife and I were treated to an evening that mostly consisted of very pretty girls who had vastly overestimated their singing abilities. As the hours dragged on, the only moment we had truly enjoyed (besides my student's performance) came when a little girl behind us loudly declared "Mommy, can we go home? All this music is making me tired!" When a freshman named Brooke Mosteller came on stage and began to sing, the back up track completely messed up and her mic cut out. She froze for a minute and then went off stage. After a couple of minutes, she came back and belted out an amazing version of 'Don't Rain On My Parade' (and this is coming from a guy who hates show tunes). Brooke would have gotten sympathy applause anyway, but her performance was by far one of the best we had seen that night. That next week I asked a couple of kids who were about about "that Brooke girl who came back out after the tech guys screwed up and nailed it." This would normally be the time in high school when the claws came out and at least a few people tell me what a terrible human being they thought she was. But instead, everyone raved not just about her singing, but what a wonderful person she was, as well. When Brooke later went on to win Miss South Carolina 2014, it was cool that she came from Mount Pleasant (my awesome place of residence). But what meant even more to me as a teacher was her platform. Brooke's 'Go Higher' program (which started after she took the issue to the South Carolina Commission on Higher Education as a senior in high school) helps high school seniors through the college application process, particularly those that are the first in their families to attend. Her Go Higher: College Application Day (which is this month if you're a high school senior who is reading this) has helped many students across the state who may not have thought they had a chance at getting a next level education see that college and a brighter future is available to them. As if that wasn't great enough, Brooke also helped raise $79,000 dollars for the Children's Miracle Network, shattering the previous record of $41,000 and earning the Miracle Maker Award for the state. It's also worth mentioning that she won Miss Congeniality at Miss South Carolina AND Miss American. In other words, Brooke is about the best person you could ever ask for to represent your state, with or without a poorly received (yet still kind of funny) introduction. She's also an insanely cool girl, hence her willingness to sit down and do an interview with us. RBC: Alright, so you're in rehearsals for Miss America pageant, saying the mobile home line, and feeling uneasy about it. Did anyone else ever express the same misgivings about it that you had? Brooke: Actually, I was very surprised that no one seemed to have a problem with it. Other contestants and volunteers just laughed. They considered it a funny joke and said I was over thinking it. In fact, one official said to me "yours is our favorite"; I was encouraged to use it. RBC: After you said the line and saw the reaction, were you still surprised at how upset some folks were about it? 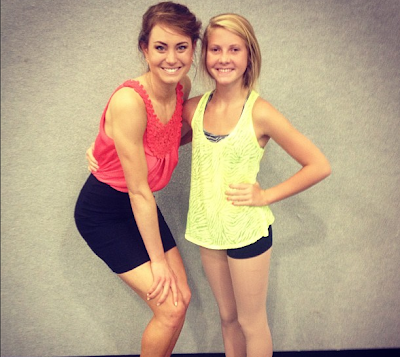 Brooke: From the Miss America "bubble" I was in, for the first few minutes I was surprised. Then a strong sense of disappointment came over me. After winning the honor of being crowned Miss SC and having a platform theme of "Go Higher! ", the idea that I had actually taken my state lower with these remarks has been painful. I regret these words were ever written for me, given to me, and said by me. I apologize to the people of South Carolina for not using my better judgment because I SO love this state! RBC: Miss America 2014 seemed to be a night of many severe overreactions on Twitter. What did you think about the negative way in which some people reacted to Miss New York winning the pageant? Brooke: Nina has my full support! Those negative reactions are pretty shallow comments as Nina is a woman of intelligence, beauty, and substance. She has a great message of unity and will be a powerful force for good in her new position! RBC: If you could do your introductory line over, what are some things you would have said instead? Brooke: Haha, I've definitely thought about this! -From the state that sells the most peaches in the South - sorry, Georgia - I'm Brooke Mosteller, Miss South Carolina! -From the home of Hootie and the Blowfish, (break out into song) ♪♫"Hold my hand"♪♫ America - I'm Brooke Mosteller, Miss South Carolina! -And saving the BEST for last: From the state with the #1 destination city in the world, my favorite town of Charleston! I'm Brooke Mosteller, Miss South Carolina! (Here's a link to Brooke saying those admittedly much better introduction lines). RBC: Aside from those infamous 7 seconds, you've actually had a very successful run as the Palmetto State's representative. What type of impact have you seen caused by the 'Go Higher' college application program? Brooke: My senior year at Wando High School, I was graduating Salutatorian, but found the college application process challenging. Knowing there must be thousands of other high school seniors across South Carolina feeling the same way, I took the idea to the SC Commission on Higher Education and so began College Application Day. It's a designated day where high school seniors actually apply online to college during school hours assisted by counselors, teachers, college admission staff, and college students. In 2013 (beginning its 5th year) we have over 180 SC high schools participating and over 39,000 SC high school seniors signed up to apply to college through the program! While this program is great for every student, it truly targets "first generation students" whose parents did not attend college. It also eases the job of our great but overburdened guidance counselors as they can see many students at one time in this very live, real-time process. For Go Higher: College Application Day, I was first runner-up of 53 contestants for the Quality of Life Award ($4,000 scholarship) for having one of the most substantive platforms brought to the Miss America stage - the first time a Miss SC has been recognized in this way! RBC: How did the 'Go Higher' motto come about? ("Go Higher" is the mindset and the "College Application Day" is the program and discussed above). Brooke: "Go Higher" is an attitude mindset and a life direction. It has had a powerful impact in my life! First, to be a "Go" kind of person - Take action. Take risks. Be fearless! We only live once, so don't sit in the bleachers; get on the track and "Go!" "It is not the critic who counts, the credit belongs to the man who is actually in the arena,...who spends himself for worthy causes,...and who, at best, knows the triumph of high achievement, and who, at worst, if he fails, at least he fails while daring greatly, so that his place shall never be with those cold and timid souls who know neither victory, nor defeat." Second, when you "Go" make sure that direction is "Higher!" Aim for high and worthy causes. Causes that are higher than yourself and that build others up. I believe that's what love is - putting others before yourself - and that's what we were designed to do! RBC: Now onto the question I have been waiting to ask for years: What the heck was going through your mind during the 2005 Ms. Wando when the musical accompaniment went out in the middle of your performance? Brooke: Thanks for such a great question from the past! HAHA. Singing the most fantastic, go-get-em attitude song "Don't Rain on my Parade" (by Barbra Streisand from the Broadway musical "Funny Girl") at my high school pageant my freshman year was the biggest performance of my life at that time. I went out on stage (feeling little nervous) and the music began with someone else singing and my microphone off too! The first thing that went through my mind? The song's title! "Nobody's gonna rain on my parade!" I was determined that I was going to sing that song! Everybody soon realized a mistake had been made and I was graciously given a chance to sing it right. The music was abruptly turned off and I went off stage. Girls surrounded me asking if I was ok, if I was crying, etc. I told them, "I want another chance, please." When I walked out on stage for the second time, I got even more applause from the crowd because they empathized with me and thought I would need an extra boost. Then I sang the song right, won Miss Freshman, and it's been my signature song ever since! RBC: In another interview a couple of weeks ago, it was mentioned that you somehow managed to knock out one of your teeth by running into a tree during a cross country event. That story is begging for a little more elaboration. Brooke: Ha, yes. 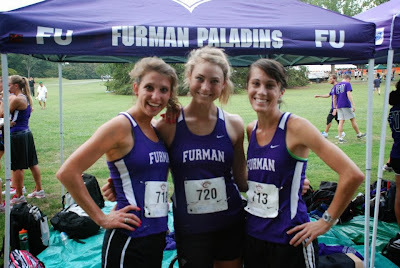 I was on the cross-country/track team at Furman University in Greenville, SC. We practiced on wooded trails, far from the pageant stage where the only thing sparkling was sweat! On one day's run, I was looking down to make sure I didn't trip on any tree roots and as I was looking up, ran into a branch...tooth-first! The tree won, knocking out my left front tooth. Brooke has obviously recovered since then. RBC: You've been heavily involved in athletics during school and been doing pageants for a while. What do you do to keep yourself in such great shape for both? (And if you say it's genetics, I'm throwing my computer out the window). Brooke: NO! Don't throw it out the window! Hard work. Consistency. Discipline. Convenience. Those are the key things! I have to be consistent with exercising and I have to make it convenient so that I will actually do it. RBC: As evidenced by you knocking it out of the park when Tyler Ryan put you on the spot during 'Good Day Columbia', you're a really good singer. Have you ever wanted to do anything with that professionally (or at least try out on American Idol/The X-Factor)? Brooke: Singing is probably my favorite thing to do; I even sing in the hallways at school! I've written some of my own songs and even recorded a few. Music makes people happy and I try to incorporate it into whatever I can - in fact, I sang a Disney princess medley in my first oral argument at the law school and received a standing ovation from my professor! So whether professional or not, singing is a part of me wherever I go. You can put me on the spot anytime! RBC: What type of law do you want to practice after you graduate from school? Brooke: I was a law clerk at the Attorney General's office under Alan Wilson (the best AG ever!) during the few weeks before Miss South Carolina. I loved working there and hope to become a prosecutor for child abuse and child neglect cases. Family stability is very important to me and something I am very passionate about; it's essential to raising and maintaining a strong citizenry. No child should ever be the victim of abuse, and fighting to defend their rights would be a great pursuit of justice. 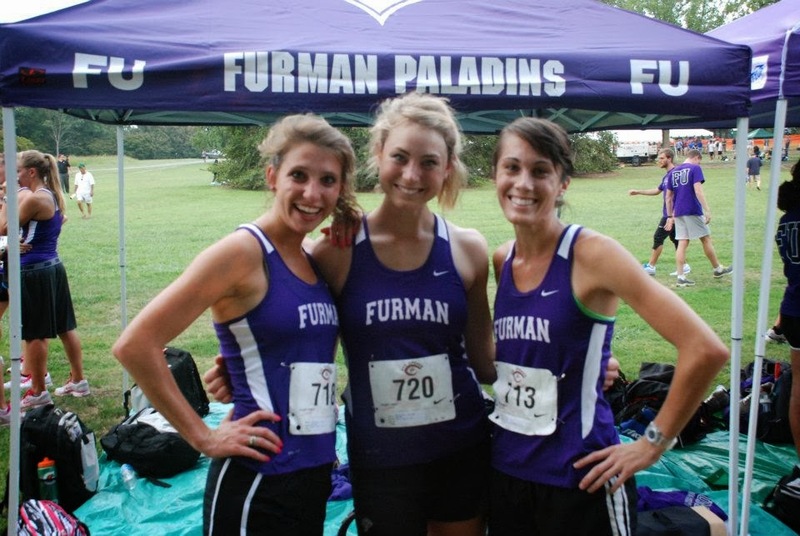 RBC: If Furman and USC are playing against each other, who do you root for? RBC: What type of work will you be doing for the state until a new Miss South Carolina is crowned next summer? Brooke: I'm so excited about this year! I will be a visiting high schools around the state promoting higher education through my platform: "Go Higher: College Application Day." I will be helping seniors actually fill out their college applications! Additionally, I will be working with Palmetto Pride by making presentations to middle schoolers discussing the importance of taking personal responsibility when it comes to litter. I will also be a goodwill ambassador for the Children's Miracle Network visiting the 4 incredible SC children's hospitals. (Brooke is also available for requested appearances - just email Shannon Copes at businessmanager@miss-sc.org). RBC: Favorite place to eat in Mount Pleasant and/or Charleston? Brooke: Fleet Landing by the Charleston Pier! (I love walking to the pier swings right after). And Mustard Seed in Mt. Pleasant - bread and olive oil can't be beat! RBC: Best place in Mount Pleasant/Charleston to hear live music? 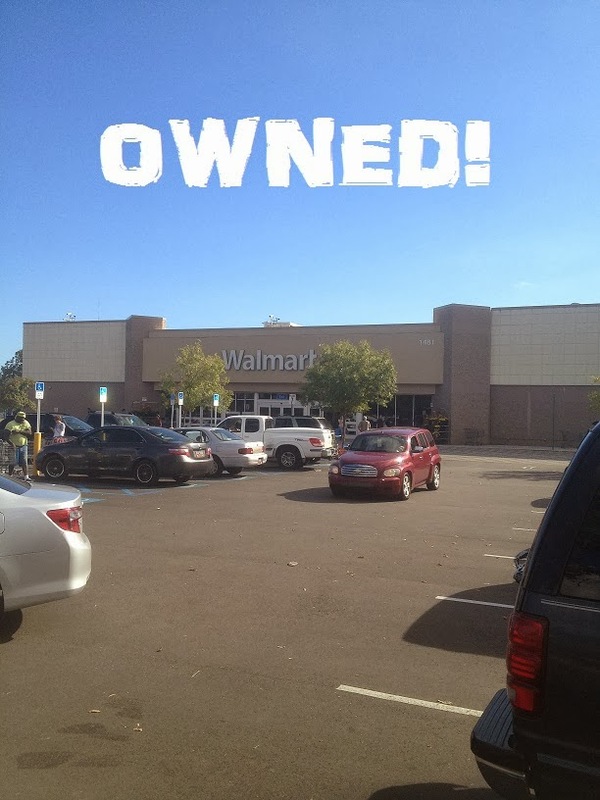 RBC: Which Walmart is better: The one in Oakland Shopping Center near Park West or the one located in the Wando Crossing shopping center closer to the bridge? Brooke: Ooooh tough call! Hmm..I love McDonald's lattes, so I'm going to go with the one in Oakland Shopping Center because McDonald's is actually in it. RBC: Best place in Mount Pleasant/Charleston to get ice cream? RBC: Favorite thing about the area in which you grew up? Brooke: I feel attached! I feel attached to the people, the land, the water, the history, the beauty - I truly have a home! RBC: Anything you would like to say to the great state of South Carolina and your fans all over the nation? Brooke: This year, I hope to show the people of South Carolina how I truly "roll" - with a heart of service, love, and a "Go Higher" message to the young people of our state. That's what you deserve, what our SC high school students deserve, and the young women of SC deserve. It will be my honor to deliver on that commitment as your Miss South Carolina. Be sure to follow Brooke Mosteller on Twitter and as she continues to do a great job representing the state of South Carolina. I can also be followed Twitter and Facebook, as well, but I don't think this state is too eager to claim me.